When young photographers Zymora Davinchi and Audrey Grant spoke at the opening of their exhibit "POC: Power of Color" at the Clemmons Family Farm in Charlotte last week, they included a special tribute. "We'd like to take a moment for Philando Castile," 17-year-old Davinchi said to some 30 people, mostly white, who gathered under a tent on the lawn of the 148-acre property. There was a moment of silence, and then Davinchi's younger brother asked, "Who's that?" What happened next was a spontaneous and direct reflection of the Clemmons Family Farm's mission. Mary Brown-Guillory, president of the Champlain Area NAACP, encouraged Zymora Davinchi, a biracial student from Hardwick, to explain the circumstances surrounding Castile's death and the recent acquittal of his killer, a police officer. The audience was receptive; some even chimed in to flesh out the story. 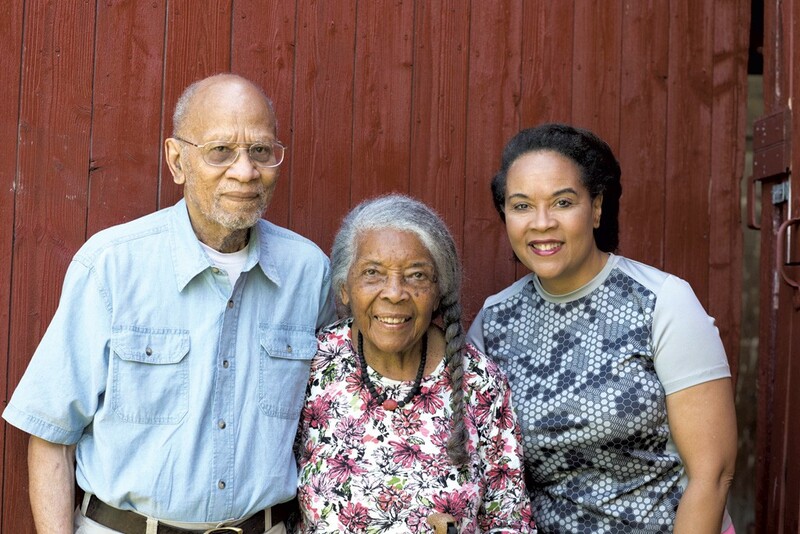 In a state that remains 95 percent white, according to the 2010 U.S. Census, the Clemmons Family Farm is a rare space devoted to giving people of color ownership of their lives and histories. It's also one of just 19 farms in Vermont — out of nearly 7,000 — that are owned or primarily operated by African Americans. Jackson and Lydia Clemmons have owned the farm since 1962. Now the second-eldest of their five children, also named Lydia, has set her sights on turning the property, which includes six historic buildings, into a nonprofit African American heritage and multicultural center featuring family storytelling, agriculture, culinary arts and more. Since programming began last summer, the site has garnered support from a handful of enthusiastic partners and small grants. It's been added to the Vermont African American Heritage Trail. In June, Lydia learned she was a finalist for a National Creative Placemaking Fund grant through ArtPlace America, an arts and culture grant-making program. Burlington's nonprofit Peace & Justice Center serves as the organization's fiscal agent, but for now the farm remains a "family property," Lydia said. "We need to make sure inheritance issues and trust issues for the land are settled." The going may be slow — Lydia noted that the Clemmons family is land rich, not money rich — but they're determined to carve out a space to celebrate their unique history and to foster diversity and multicultural awareness in the present. The couple mobilized all of their family members to help with the down payment — $10,000. The remainder of the $35,000 price tag was paid off over two mortgages. Never an industrial operation, the farm was more an exercise in frugality and hard work. "I didn't come here to farm," Jack said. But he recalled activities such as harvesting hay: "It was work, but we really enjoyed baling the hay and getting it loaded." The family kept a few animals during Lydia's childhood, she said: "pigs, chickens, cows, horses." Her mom recalled some of their penny-pinching methods: "There was a lot of fat left over from pigs. So, with the fat, I made the most beautiful soap you've ever seen." Today, the animals are gone, and so are the kids to help with the labor. Lydia Sr. and Jack are both 94. Daughter Lydia, 55, works remotely as a senior adviser to the Manoff Group, an international health organization based in Washington, D.C. Previously, she had worked for similar organizations in several African countries. "As with many farming families," Lydia recalled, "discussions about selling the farm came up in our family every now and then — especially when times were hard and resources were limited. [My parents] always wound up deciding to keep [it]." During one such discussion, Lydia started doing research. She found that, according to that 2012 U.S. Census of Agriculture, African Americans own less than 1 percent of all farms across the country. For a long time, those numbers were driven by discrimination from the U.S. Department of Agriculture, which led to a class-action suit in the 1990s. "Since they were denied government loans, emergency or disaster assistance and other aid, many black farmers lost their farms and their homes," according to the National Black Farmers Association website. That history of land loss became a compelling reason for Lydia to keep the property intact. "I didn't realize how rare of a gem it was until I came back and started researching," she said. "Let's say we sold it," she postulated. "None of us would ever be able to purchase a property like this again in our lives. And, again, the kind of things that we as an African American family want to do and offer to the community ... I don't know, if somebody else bought the property, if it would be the same thing." Those offerings began last summer in the fields and the Barn House — actually two buildings that Jack combined and restored in his seventies. The programming mixed arts with agriculture. Environmental artist Nancy Winship Milliken brought art students to the farm to create works incorporating clay, grass and other natural elements. Lydia plans to open all six buildings in stages as funds and volunteers become available. On the ag side, the family has leased 35 acres of farmland to Bill and Brian Van De Weert of Van De Weert's Pleasant Acres in Ferrisburgh. While the brothers grow beans and hay, Lydia is growing a test patch of teff — the hardy Ethiopian grain used to make the spongy flatbread injera — with Heather Darby of UVM Extension. 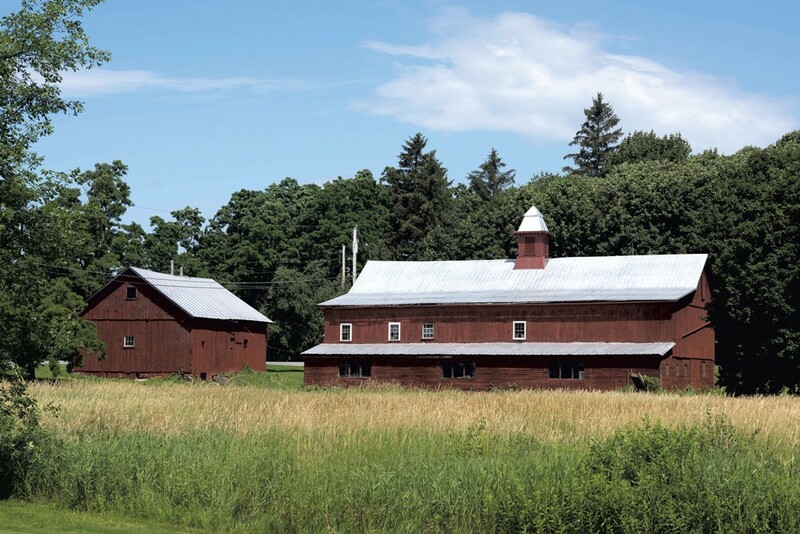 This summer, arts and historical programming continues in the Barn House, which is open to the public by appointment, and Lydia is experimenting with pop-up events. "We're testing to see what gels," she said. For example, South Burlington chef Alganesh Michael recently hosted an Ethiopian coffee ceremony in the Barn House. Over two hours, the Eritrean native demonstrated the traditional Ethiopian method of roasting green coffee beans as the smell of burning frankincense wafted through the sitting room. After the traditional three rounds of coffee, Lydia gave the guests a tour of the rest of the Barn House. Among five separate art exhibits are posters from a touring exhibit by the National Museum of African American History and Culture. Scan codes on their labels bring the viewer to audio stories from the D.C. museum's collection and to oral histories that Lydia has been collecting from her parents for the past year. "Dream Workers," by UVM professor Mildred Beltre, is composed of illustrations of civil rights leaders. But perhaps the most powerful exhibit is Grant and Davinchi's "POC: Power of Color." The photographs of people of color are paired with personal stories of discrimination and growth, along with poems by Rupi Kaur. At the Clemmons opening, "People reacted positively" to the images, Davinchi said in a phone interview, "and I think it was something that was long overdue, especially for the people of color that were there. I think it was refreshing for them to see young people do something like this." That reaction is illustrative of the impact, and space, that Lydia hopes to make. "For the past couple of years," she said, "I've been leading a lot of people around this property. The responses of people of color versus white people are very different." Often, she noted, people of color cry when they encounter the farm. "There's so much emotion. The pride, the immediate love people feel for our parents, the pain of thinking about the history of our people and how much land has been lost. When white people walk through, some are just like, 'Oh, nice property.' Others are just quiet, because it's the first time they've been in a black-owned property. Maybe they have to rethink or challenge assumptions they didn't even know they had." In the future, Lydia hopes to expand the farm's programming while relying on a network of volunteers and partners to keep it running. The website details plans for musical performances, culinary events, poetry readings, art exhibits, literary and agricultural residencies, and more. Her siblings declined to comment for this article, but Lydia said she has their interests in mind going forward. "Some of the five children are more interested in keeping the land and the property; other children are more interested in cashing out because they would appreciate the financial asset," she revealed. If the Clemmons Family Farm receives the ArtPlace America grant, Lydia said, they may put a portion of that money toward assessing the best way to proceed into their financial future. "The hope is that the property always remains African American owned," she said. Correction, July 12, 2017: An earlier version of this article misstated Lydia Clemmon's place in the lineup of children. She is the second-oldest of the five Clemmons children. The original print version of this article was headlined "Culture Saving Place"